I recently received a letter from a woman struggling with how to choose a north facing room paint color. I recently painted the room and thinking that I wanted to brighten up the space and make it seem larger, I painted it white. Our sofa is brown leather and there is a beige rug. I hate it. It’s cold, boring and depressing, not light and airy. If white won’t make the room feel airy, than what paint color will work for this dark north facing room to make it feel the way I want it to. Thanks for any light you can shed on this. Ahhh, yes, the north facing room paint color challenge. Actually, Susan is another of my made-up characters and except for the furnishings, she is describing the den in our old townhouse. You can see it here. And, it’s true. When we first moved to the house, the entire place was painted Benjamin Moore China White. And that included our north facing den which also faced a large tree lined hill. China White has a lot of gray in it and that is exactly how the color looked in that small den. It looked gray. And if one has a dark and/or north facing room and wishes to have a pale gray, then china white might be a consideration. The first thing to keep in mind is that a dark room is never going to be light and bright. That is from the outside light source– the sun. Of course, artificially, we can make it quite bright. But, you can’t make a room something that its not. Here are my thoughts that I’ve gleaned over the years regarding north facing and rooms with less natural light. Generally speaking, a north facing room, is going to have more of a cool, gray tinged light. And, it will have a gray-ish, blue-ish light whether there are few windows or a lot of windows. The difference will be that if there are some big windows and no obstructions, it’s possible to have quite a bright north facing room. However, most north facing rooms are not bright. In addition, just to add to the difficulty, your room might not be facing due north. It might be leaning to the east or west. And there can be multiple exposures in one room. The worst experience was with a room which faced due north on one end and due south on its opposite end. The result was a variation in shade, so extreme. In that case, I recommend a warm white. However, there is one clear advantage to having a north facing room. And that is, that you will have the most consistent light. You probably already know that is why artists prefer to work in north facing studios. A south facing room, in the morning is actually like a north facing room, as the sun is out of direct range of the windows. And thus, you will receive the cool shadowy light. But only in the morning. In the late afternoon, of course, you will get the opposite. Therefore, I feel that the south facing room is the more difficult light to work with. However, the reason that I don’t think it’s mentioned is that most people love getting a lot of natural light in their rooms. And it is easier to block it than it is to create it. Another important idea is what happens when it is cloudy and gray outside? Well, there goes your sunny, warm southern exposure. How come nobody mentions that? And how come they don’t mention that in the morning hours, a south facing room can be just as dark and shadowy as a north facing room? Believe me. I know because I am living with it! But, a room, like my bedroom, for example that has three large windows facing south and west, is still pretty bright; even on a cloudy day. Here’s what I’ve observed regarding my own bedroom that is painted Benjamin Moore White dove around the beautiful Mural Sources Chinoiserie panels and also the trim and doors when it’s a cloudy day as it is today. The color is much more even and yes, darker, but also, the light seems to bring out the yellow in white dove, so that the color reads as a beautiful cream; not really a white. If you want white dove to look super white, pair it with black or navy. It’ll look very white, in that case. While we’re discussing my room, I want to divert from the main topic for a second to discuss whether the pale room looks larger or smaller than it did when it was painted Benjamin Moore Tropical Dusk. I wrote this post about the misconception that light colors make a room look larger. In the case of the old bedroom, shown above, there’s a piece of moulding where the Tropical Dusk stops. Now however, it’s gone. The lack of interruption definitely makes the ceiling appear higher. And the room does feel lighter and more airy. What I notice, however, is that the room feels more rectangular. If I am lying in bed towards the two book cases, that wall feels closer to me than it did when the room was Tropical Dusk, thus distorting the shape of this nearly square room. Honestly, the room does not appear larger or smaller. It feels like it’s a different shape! Very interesting, I think. And, it’s also a lot less choppy and thus, more soothing. Me like! Let’s get back to our topic, because we have several more issues to consider when choosing a paint color for a north facing room. One, is the size of the room. Larger rooms do tend to look better painted pale colors, be they bright and sunny, or dark. That’s not an absolute because I can show you some stunning large rooms not painted white. However, they usually have a healthy amount of white in them. Here’s one of my favorite examples of that. 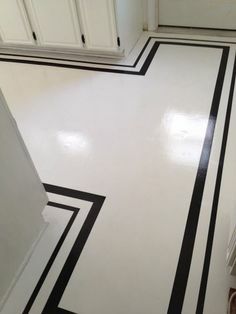 And this brings me to the second important point which is to stop expecting the paint color to be the cure for whatever ails you; decorating-wise, that is. It is not the cure. It is only one element. Please read this post when you have a sec to find out what is far more important than the paint color. Three, what is the room being used for? And four, is the fact, that at night, it matters not the exposure. Right? So, if it’s a room that’s almost always going to be used when it’s dark out, who cares which way the windows face? Plus, there is always going to be some crazy lighting situation that defies the laws of physics, or so it seems. Or, you know the room needs to be color X, but your spouse hates color X. Decorating is a challenging business! Still… are there colors that look better in north facing rooms and colors to avoid? Yes, for the most part. Since north facing light is cool, if the paint color has any gray, green, blue or lavender tones, be they under or over, those are probably going to be magnified. And contrary to what I’ve read, might look grayer or they might not. The color could look brighter! However, sometimes darker, grayer or brighter is the desired affect. I’ve probably told the story of the north facing bedroom that whatever we put up, it looked green. Even pink looked green! Finally, we just went with a beautiful cream which looked like a pale celery color and it ended up being very pretty. Please don’t ask me which one because I couldn’t tell you if my life depended on it. But, it might’ve been Benjamin Moore Mayonnaise 2152-70. This is a lovely color in a dark or north facing room. You can see an image of Mayonnaise in this post that has some of my favorite paint colors. Since the light tends to be cool in a north facing room, we don’t want our room to look even more cold, and so cool grays and blues might not look as good in your north facing room. And actually, most of these bedroom colors would be fine in a north facing bedroom. Here are three, but there are more in the Laurel Home Essential Paint and Palette Collection. Wickham Gray – We did this color a few years ago in a very dark entry/mudroom with almost no natural light. The darkness actually brought out the blue-green in this cool gray color, but it was super pretty. via @oldseagrovehomes on instagram – Beautiful account on insta. Woodlawn Blue office. How pretty is that! Of course, Quiet Moments is always good, no matter the light. For a darker blue, you might try Van Deusen Blue, another Laurel Home paint color. We used that in this not dark, but still north, north-east, east facing family room, eating area and windowless kitchen. This part was an addition, actually ten years old now, which blows my mind! The kitchen you can see in my portfolio as well as a few other images. The kitchen and trim are Cotton Balls. Over-all, however, the very best colors for your north facing room are the warmer tones. Warm whites, creams, khaki, warm gray, green and warmer blue shades. But, again, even if I have to repeat myself a thousand times. Do not depend solely on the wall color! It is imperative that you get the “bones,” architecture, envelope— whatever you want to call it, in place, FIRST. Please allow me to demonstrate this philosophy, that is pretty much at the root of everything I write about. Someone, the other day was dying to know the fabulous wall color in this exquisite architectural gem of a room by Michael S. Smith. It’s the same color as in this plain-Jane room. Well, if that doesn’t drive the point home, I don’t know what will. We get into trouble when we consider elements of a room in isolation instead of as a complete composition. I wrote the woman back and told her that it’s almost definitely not the paint color that’s appealing to her. There’s nothing special about it. It’s everything else that makes this room soar. Therefore, even if there’s a color on the “don’t use that one” list that you’d like to try, why not just make a sample and see how it looks? So, Laurel, are you saying that almost any color can be used in a north facing room as long as we get the bones right? You know, in most rooms, I have to say, pretty much. Of course, we haven’t touched on lighting low-light and night-time rooms in this post. But, you can read more about lighting here, here and here. Still, I realize that this is too broad, so I’ll leave you with some of my favorite colors for low-light and north facing rooms. Benjamin Moore Paint colors that look great in north facing rooms. Benjamin Moore HC-4 Hawthorne Yellow – My room does face south, however, any time of the day, sunny, cloudy and especially at night, it is fabulous. Benjamin Moore 899 secluded beach is a recommendation of Allison Palladino. I’ve never used it, but it looks close to another Laurel Home Collection paint color Fresh Air 211. Also, look at these 20 shades of orange, everything from a pale, buttery color, to a deep rust and everything in between. This is a color that I used several times circa the year 2000. I don’t know whose room this is above. The color is a green-y gold and really wonderful in a north facing room. The above room is also Henderson Buff. Geeezzz… my printer was acting up, but I got it to print. This is a home that I did 19 years ago! I can’t believe it! This photo was part of a spread in the December 2004 issue of Better Homes and Gardens. The room didn’t face directly north, but it also didn’t get a tremendous amount of light as there was a large hill behind the home. The color glowed. This is a home that was built in the 1700’s in historic Waccabuc, NY. So, really, creams, yellows, golds, oranges and REDS! All are wonderful colors for north facing rooms AND night-time rooms. Another post you might like is this post featuring 12 of my favorite shades of red. Now, here are a few things that you may not know about red. Years ago, I had a new neighbor who wanted me to help her decorate her 13-yr-old daughter’s room. It had the same exposure as my son’s room. (Their room was a wonderful gold from Pratt and Lambert.) Quite frankly, I have no idea how I came up with this color. Benjamin Moore 1337 Mediterranean Spice. It is a red veering on magenta and let me tell you— it is magical. As a matter of fact, I had a flooring contractor use it in his daughter’s room and they were both extremely pleased. It’s a wonderful color! Above is a board from the Laurel Home Ultimate Paint Palette and Home Furnishings Collection that is part II of the 144 color Paint Color Collection. I found this on the Benjamin Moore website. But it’s Mediterranean Spice used as an exterior color. I don’t know if I would do this for myself, but it’s fun to look at in the photo. Benjamin Moore 2003-20 Strawberry Red. We did this once in a master bedroom and it was really wonderful. I’m finishing off with another room that we did about 15 years ago. 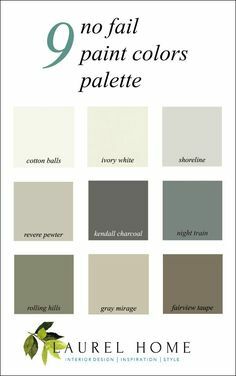 I also love warm grays like Benjamin Moore Abalone is one I have used and love as well as Elephant Gray. Oh, it goes on and on! Well, that was pretty epic. In closing, I think the main thing to take away here is that there are lots of options when considering colors for north facing rooms, but it’s not just the paint that needs to be considered. And that’s what I think most inexperienced, untrained people fail to understand. Although, it’s certainly understandable! Oh, while I’m thinking about it. I do love hearing from you guys. But, I’m starting to once again get a lot of emails with requests for individual help. And that includes helping you source items and referrals for design pros. I’m sorry, but I cannot help you with those issues. If you have an idea for a blog post, that is fine and appreciated, but please think hard if it’s something that you believe will be helpful for many others, not just a thinly veiled plea for help for yourself. eg: “I have 9 foot shoji screens with a red brick fireplace, slate entrance floor and 12″ crown mouldings, stained glass windows with an open plan and am wondering what color would work for the walls?” That sort of thing. Some of these are so involved that it hurts my head to read them. If my interior design products cannot help you, (and for paint and sources, there’s nothing else like them) then there are nearly 600 blog posts here on a wide variety of topics. And there’s a search box in the blog sidebar which is the best way to find stuff. Thank you for your understanding. Your love and support means more to me than I can say and really 99.9% of you are absolutely fine. But at this point, even .1% is still a pretty big number. I love you all, just trying to clarify some things. I’m working on a Frequently Asked Questions which I’ll be posting soon. PS: Don’t forget to check out this week’s hot sales. Melissa just did her mid-week update and yes, the OKL promo code for 20% off (aka: Laurel’s private sale) still works! Hooray! In your gorgeous pic with Van Deusen Blue, with your name at the bottom of the pic, with the Oly studio coffee table and the leather chair with nailheads, do you remember the manufacturer or the name of the leather chair? Also, that art and frame are fabulous, too!! Love this post! Especially how the natural light in a room effects our perception of the color in the room! So helpful to everyone who struggles with this issue. I can’t tell you how often we run into this issue! Happy new year to you and all the readers. I woulg really like to understand how to achieve a beautifully layered room. I can understand layered rugs but nothing more than that and I found the term in many posts. It’s a very good question. But in a way you answered it. All rooms are three dimensional and thus, inherently layered, but it’s really in the way the room is styled. For instance the mantel might have a mirror and layered over it is a small painting and other items. Or the coffee table might have a tray with objects in it and next to it is a small stack of books with a small box on top. Layering can also be done with pillows, window treatments, art, rugs, flowers– all the elements that come together to make for a beautiful composition within a space. Love your blog. Such great information. Since you suggested red walls in one of your answers to this post, I was wondering if you could write about decorating with a traditional red sofa. I have very traditional room and lean towards what some of your readers called granny decor. I never thought of myself having that type of decor but whenever I have people over they love my home and gardens. I have mostly Ethan Allen furnishings, red sofa, dark brown leather recliner, two large club chairs covered with thin striped gold, red and tiny stripe of green (which isn’t really noticeable) fabric with one matching ottoman. I want to freshen up that room and was hoping to get some ideas on how to update it without having to completely start over. Guess you would consider my colors more of the Tuscan colors but traditional furniture. Also my custom drapes are a darker gold and red toile design with large peacocks that you don’t notice at all because they’re always tightly pulled back to the sides of the three windows that face due east. Those drapes cost me a fortune! What other color could I bring in that would coordinate with my room? I just bought Mark Sikes book Beautiful and love how timeless the rooms look. After flipping through his book I wish I had the money to start over and use blue. So Laurel, How can I make my room look timeless using the reds and golds and whatever other color you may suggest or do I have to start over? I’m sorry but I can’t advise without seeing your room and then, it would have to be in form of a blog post should I deem that it’s an issue that many others can benefit from. You may send up to six images to admin at laurel bern interiors dot com. if interested in that possibility. Hi Laurel! Thanks for all this great info! I used Van Dusen Blue in my north-facing library and it looks very good! (I tried Revere Pewter and it looked awful. When we bought the house it was pale pink and deeper rose-red. Which could have been fun, but wasn’t.) Love your blog (it’s the only one I read!). You always have such wonderful examples Laurel. My advice to people _ its only paint. If you are not sure of what colour to choose, buy some sample cans and paint a bunch of boards. Look at them at all times of the day – that will help with deciding on a colour without committing to painting all your walls and hating it. 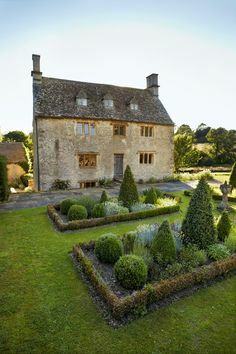 I did a house recently in Farrow and Ball Verre du Terre and it had a huge north facing wall and trees facing east so lots of shade in the summer and bright in the winter – this really affects the colour also. In the end, I made the north wall a lighter tint of the verre du terre; not something I do a lot but in this case it really worked. It’s a beautiful enveloping colour. Hi Laurel, I just wanted to add my situation to the discussion. My front living room is northeast facing with just one large bay window. You can imagine it can get a little dark there most of the day. But to make things complicated, the house across the street is a behemoth of a red brick house that is situated a little too close to the street and has an oversized black asphalt driveway (this is NJ, land of McMansions and ersatz). Now, when any bit of sun hits that house and that light goes off reflecting into my living room, it almost looks like Mars in here. I mean, it is this eerie, sometimes-red-sometimes-purple-sometimes-orange glow. When I look at my BM deck in there, the colors are so different. Revere Pewter looks more like Shale; Classic Gray is lavender; Linen White is some weird shade of apricot. Most lighter colors look awful as well, even those that are greener/yellower (which I really do prefer over the pinkish/reddish/purplish toned colors). For a long time I have been considering Ashwood (the same as in Lotte’s hallway – I absolutely adore her house and your post about it, and would love to see more pictures – her IG doesn’t have many either). Ashwood seems to stay true to itself in that room, despite (or because of?) the complexity of the color. It’s a great idea, however, I’m not sure what you mean by tricks with wall treatments. Mark often uses Gracie wallpaper and frequently in panels. Or, he uses paint and it’s most often a white or pale shade, but not always. Albert did a lot of glazed and lacquered walls which are quite beautiful and expensive to have done; especially, the lacquered walls. Hi Laurel, thank you for your wonderful posts! Your knowledge, taste and humor have added much to my life. I was thinking of hiring a color consultant because we have a large open room, 36 by 18 feet, kitchen/living/dining, with east and west exposures on the short ends, vaulted ceilings and 2 smallish skylights in the middle. Sometimes it’s very bright(which I love) and sometimes it’s a little gloomy on cloudy days. Do you have an opinion on using a color consultant? The ceiling is very prominent. I can only afford limited professional advice. I know some about design and color but can’t visualize well for this room, which isn’t wonderful architecturally, and we’re committed to keeping the many cloud white cabinets at one end and matching trim. What do you think of starting with an on site session with a color consultant vs hiring a designer to choose a color? I’m not sure if I will do that. I probably should, because it’s good for ratings, because people really think that is the answer. But, as I stated here, the variables are so huge that it’s very difficult to say for sure. And, it’s impossible for a room which is sometimes super bright and sometimes super dark; during the day, that is. Your niece is doing something we call in the industry. “pondering beige.” My suggestion whenever looking for a wall color is to find one that inspires you in a magazine or on pinterest and then find a color, that over-all looks like what you see in the photo or on your computer. Years ago I was desperately in need of a good white paint for north facing and windowless rooms and I went with your Cotton Balls recommendation. That paint has made all the difference in those rooms which now look warm and lovely. Wonderful advice! The lesson here and it’s one that I preach all of the time is to not pay ANY attention to the color you see in a magazine. I can guarantee that it will look different in your home. What I recommend is going out and matching the color that you see that you like. But, as I said in the post, so often it’s not really the color; it’s the architecture, furniture and styling that makes the entire space look so appealing. However, we focus on the wall color thinking that if only we can copy that, all of our problems will be solved. Yes, what you said the first time. If you have a compass and stand parallel to any given window, when you read the compass, that is the direction that the window is facing. And then, there’s the sun. It rises (at least in the northern hemisphere) in the southeast and sets in the southwest. So, a true south-facing room with no other windows in any direction, on a sunny day is going to get good light throughout the day. But, of course a true east-facing room will be dark in the afternoon and the opposite for a West facing room. I have a comment about Henderson Buff. My decorator recommended it for my former light filled, main floor, open concept, giant house. It looked pale beige, warm and perfect in most of the space and warmer and sort of goldish in the darker corners. I showed her pictures of what I thought was very pale yellow and asked for my home to feel like those photos. She got the feel just right. My point is that the big open bright rooms that many of your readers have need more of a “color” for them to feel like anything at all. I thought of her often as I enjoyed that home! SOOO much in this post, as usual. Paint question: If you’re happy with a color, is there a timeframe when you should repaint, e.g., I’m not rearranging pictures or anything (or looking for another thing to stress over) but in general, is there a three-year rule… a five-year rule…ten, lol? How about ceilings? And your cabinet!! Are the insides papered? Painted? It looks like the woodwork is duplicated on the inside as well but the photo is a little bright for me to tell. Either way…BEAUtiful!!! As for time-frame. Oh gosh, it really depends. Some people never paint. Some paint frequently. But if they’re painting their trim and not giving it a good sanding each time, it’ll get gloppy after several coats of paint; not a good look. Even though my painting days are over (I’m too old now), I love your posts about paint colors. They get my imagination fired up to what my rooms could look like. Our guest room has a north facing window with a lot of trees growing close by. At one time it was painted Quiet Moments. It looked great except for a corner adjacent to the window. And that’s the spot my eyes always landed whenever I passed by the room. Since that corner was so dark, I ran with it & painted it navy. Love reading your posts and getting a wonderful insight into the complications of interior design. So many things to think about. What fun!! I live on a Caribbean island and would love you to do a post about “tropical design” – from what perspective, I have no idea!!!! Your English is so good! I wish my French was. But, it was so long ago and I never got a chance to use what little I learned au lycee. Yes, pink is another good one. I love the warmer pinks (pinks that veer towards peach) and have a number of them in my paint collection. I think one of those posts probably linked to some nice pinks too. But, here’s one. Thank you very much for the link, Laurel, towards another of your excellent posts. My kitchen is in Farrow and Ball Setting plaster which is more peachy and I like it very much too. It’s very different. A couple of years ago I would never have been attracted towards these colors. We’re all evolving! After reading your earlier posts about sofas and sectionals I was hoping you would also address sleeper sofas. We’re considering replacing a sofa for a sleeper in my husband’s office. (Currently, there is a 72” tuxedo sofa in there, which, for size & style, has worked great) The sleepers I remember always had this god-awful bar across the middle and no amount of foam egg crate would improve it much. Have they improved, and what features does one look for? My last house had a giant north facing living room / dining room combo with vaulted ceilings, and a skylight. We painted it BM Winds Breath. That 1 color looked like 5 different ones depending on where we looked and the time of day. Sometimes it looked like a cool white in some areas, others it looked khaki. My study is red with orange undertones. I thought a lot about it and decided that a womb color would help me concentrate. It turned out smashing. It was way easier to decorate than the other rooms in the house which required thousands of decisions. I had red with white trim, including bookshelves, a light wood floor to start with. I now have deep purple accents in just a few spots, red and black accents and a cream and black rug. Thank you. Awhile I got into quite a dispute with an online color expert who basically told me I was a bit of an idiot for considering the room’s compass direction. Said she had never, in all her 20K consults ever, EVER, considered that. Funny, it’s one of the first things a lot of us in this business, who live with north-facing rooms, ask. And the other one you nailed here for me… contrast can make a room seem smaller..
My breakfast room has one small north facing window. Painted it Cloud White to start – hated! Tried Linen White next – hated! Then tried a narrow blue painted chair rail with the Linen below the rail and Cloud white on top – hated! Painted it back to Cloud White with one bright blue (forget the color) accent wall – hated! Finally read a suggestion to go dark with a dark room and had also by then discovered Farrow and Ball paints. Painted it F&B Light Gray about five years ago and absolutely love it! The room does have a lot of white trim painted Simply White – a door and three other cased openings, a very large built in bookcase, deep base molding, and a shutter on the window. I can’t believe how much I love it now, finally. What a great post! North facing rooms have always been a bear for me. I can’t wait until your FAQs!